A 'must' in every garden, particularly as a row of radishes can be squeezed in as a 'catch crop' between slower growing vegetables. 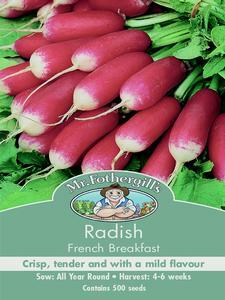 French Breakfast is a quick-growing, long rooted variety, crisp and tender, with a mildflavour. 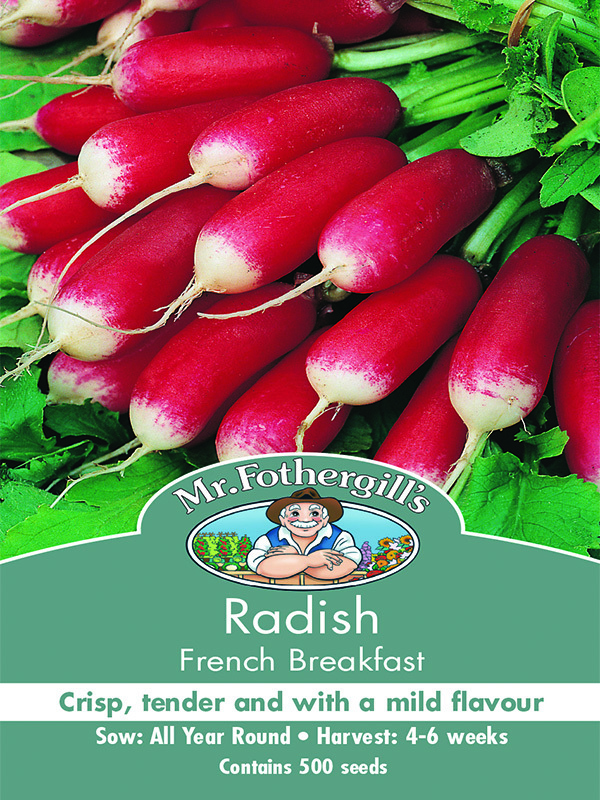 We hope you enjoy these radish seeds, just another great example of vegetable seeds from MrFothergill’s! Thinly, 0.5in (1.5cm) deep in rows 9in (25cm) apart. Keep moist and thin as necessary. Repeat sowings every two to three weeks to ensure a continuous supply throughout the summer. Remember, it is much more economical to sow little and often rather than have a long row of radishes all coming to maturity at the same time.